It’s the 40th edition of Date Night, which is not a bad tally for the last 14 months. Believe us, you don’t want to know how much we have spent on the last 40 dates! Tonight finds us in the heart of beautiful downtown Vinings, right in the thick of things at the Vinings Jubilee shopping center. From the SOHO parking lot, you can see at least 5 other restaurants, so there is a lot happening here. Greetings from beautiful downtown Vinings! We arrive fashionably early, in fact so early that the dining room isn’t really open yet for dinner. They seat us anyway, and we get right to ordering some beer. 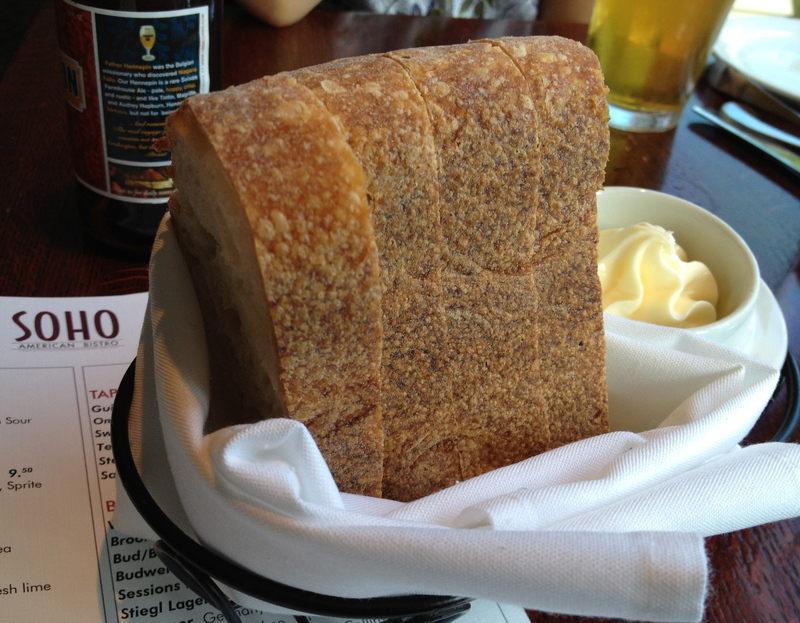 First, we have to tackle this beautiful basket of bread. Don’t fill up on the bread, although you know you want to. They have a pretty good list here and we both go with Ommegang out of Cooperstown, NY. Ommegang is making some really good Belgian-style beer right now, and we select the Rare Vos (an amber Pale Ale on tap–check out that glass!) 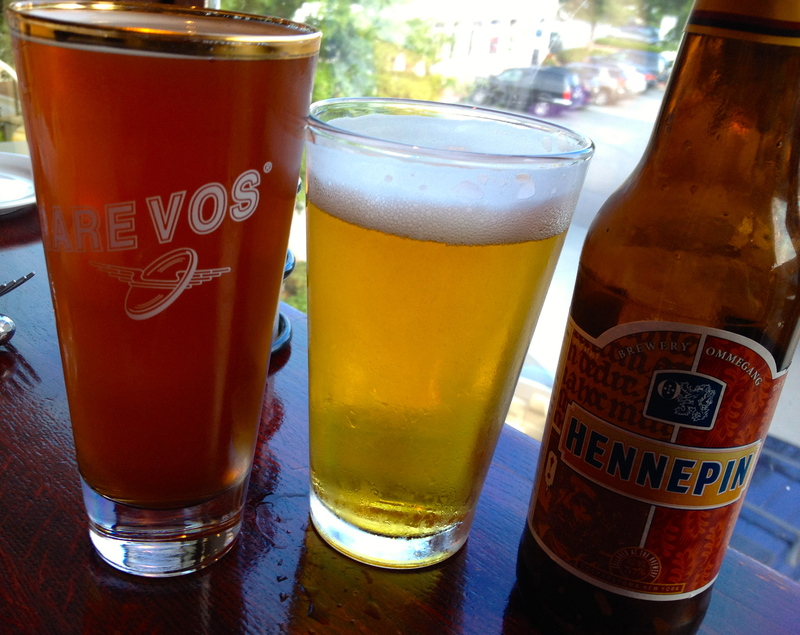 and their Hennepin, which is their summer seasonal Saison-style suds (don’t worry, we do not charge extra for alliteration on Date Night). Our two offerings from Ommegang. 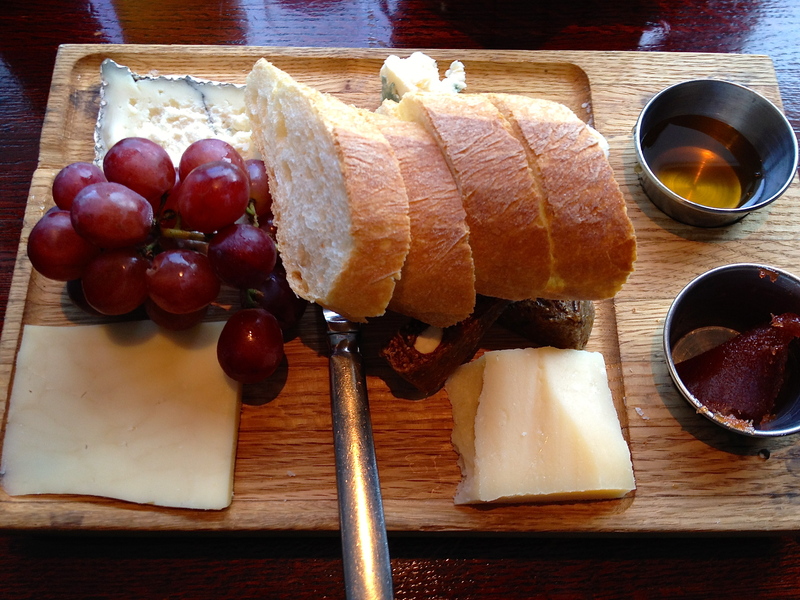 These beers need something to go with them, and the artisan cheese board looks like just the ticket. We’ve got four cheeses on the board tonight including the Grana Padano, a hard cow’s cheese, the Chocolate Stout Cheddar, a softer cow’s cheese, the Humbolt Fog, which is a goat cheese, and the Point Reyes Blue, also made from cow’s milk. Also included is some baguette, quince paste, almond fig cake, and artisan honey. The Chocolate Stout Cheddar was a favorite, and although there was no hint of chocolate or of stout, it was still a good cheese. The cheese plate was very filling, and like most Atlanta restaurants these days, you can get small plates of things at SOHO. The plates have gotten smaller, but the prices have not shrunk with the plates. They are great for sharing, though, and Date Night is all about sharing. Our first plate is three sliders. Sliders slid down our throats. 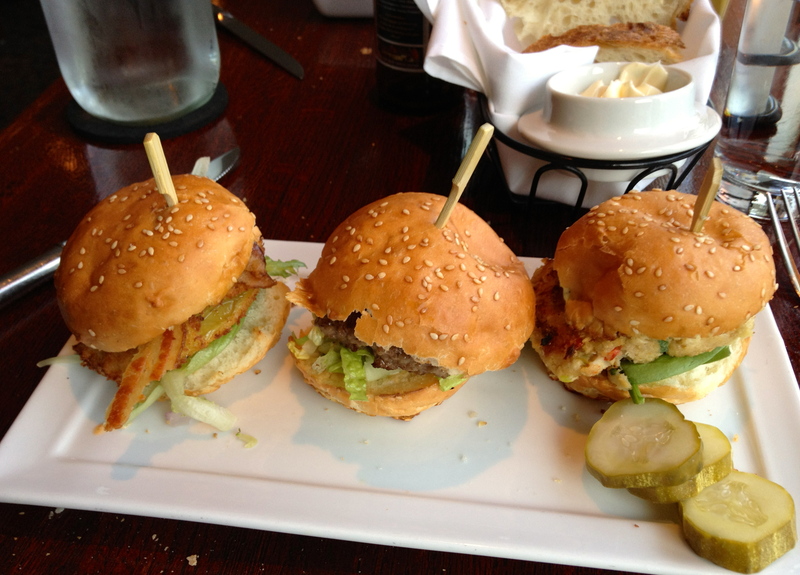 We’ve got a fried green tomato BLT, Angus beef, and a crab cake slider to split. All are on an egg bread bun, some of which does not get eaten as we had a lot of bread with the cheese. The veggie plate. Ever have purple sticky rice? 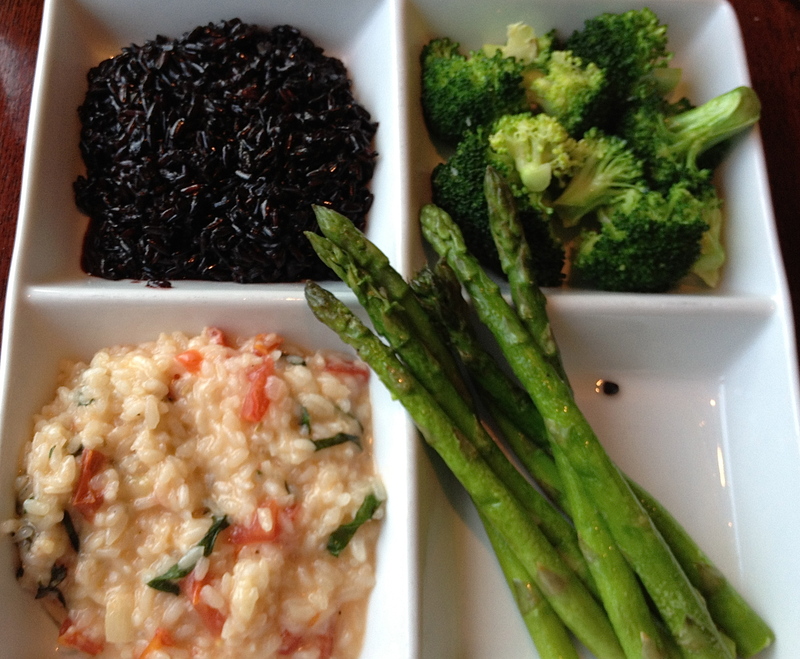 You can order from a long list of sides, and Eve chooses the purple sticky rice, the broccoli, the tomato-basil risotto, and the asparagus. The risotto is creamy, and the fresh basil leaves make it the favorite on the plate. Pick one. It’s harder than it looks! There just happens to be a CamiCakes (and a Yoforia) right next door to SOHO. We told you this was a happening spot. 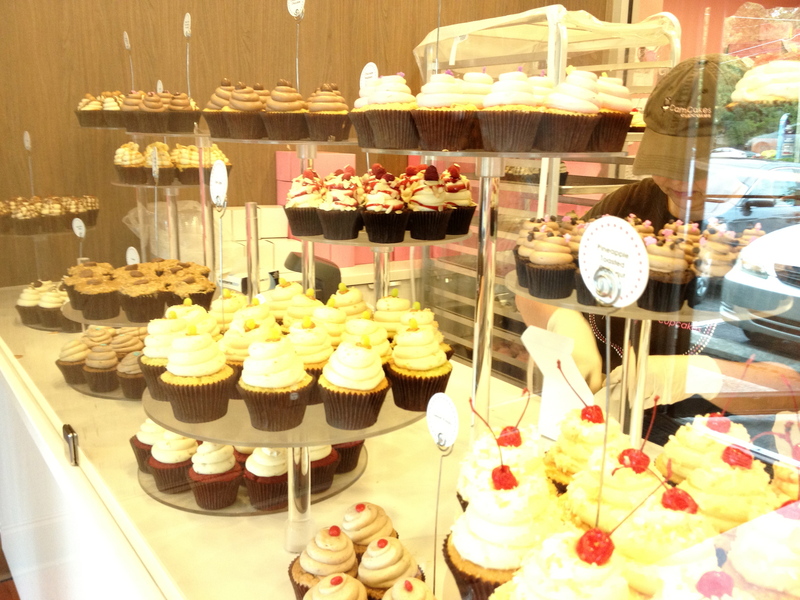 Yes, we had cupcakes last week on Date Night #39, but how can anyone resist this display? Since we are full, we get one cupcake to go. Evidently this is common practice, as they have a box that holds one cupcake. Here’s our choice. Paul and Stevie would be proud. It’s impossible to choose, but we get the “black and white”. 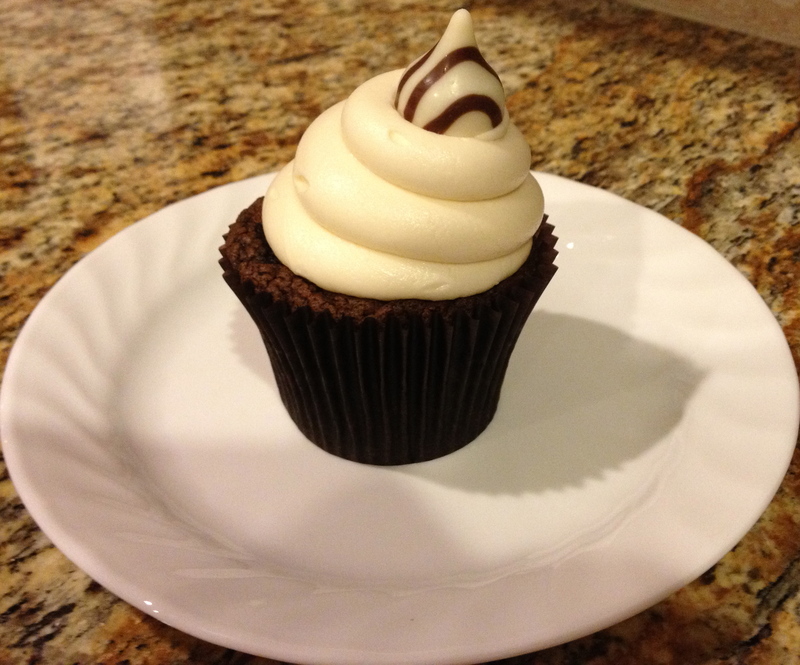 It’s a chocolate cake with a vanilla creme frosting, and like all good dates, it ends with a kiss. 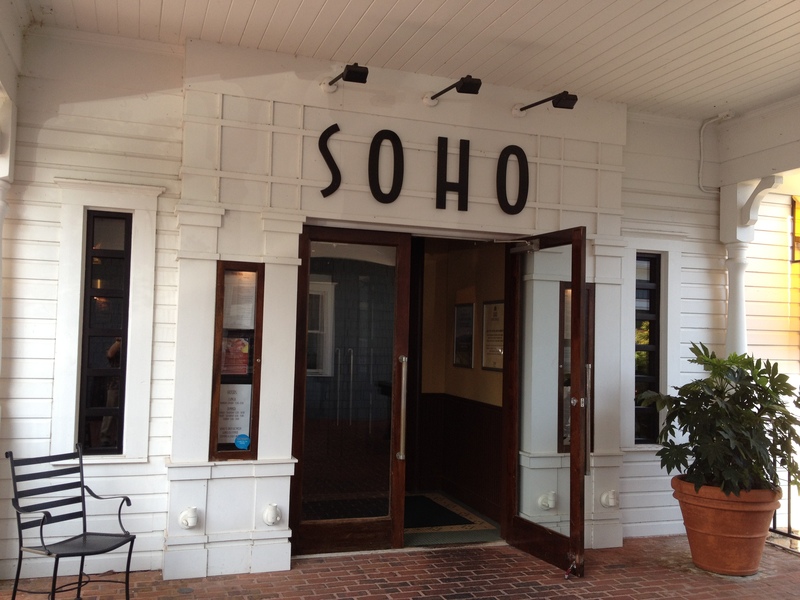 Soho, Vinings GA (take two) – Marie, Let's Eat! The Impossible Burger: Where’s the Beef? The hits keep on coming! 111,002 of our restaurant reviews read.